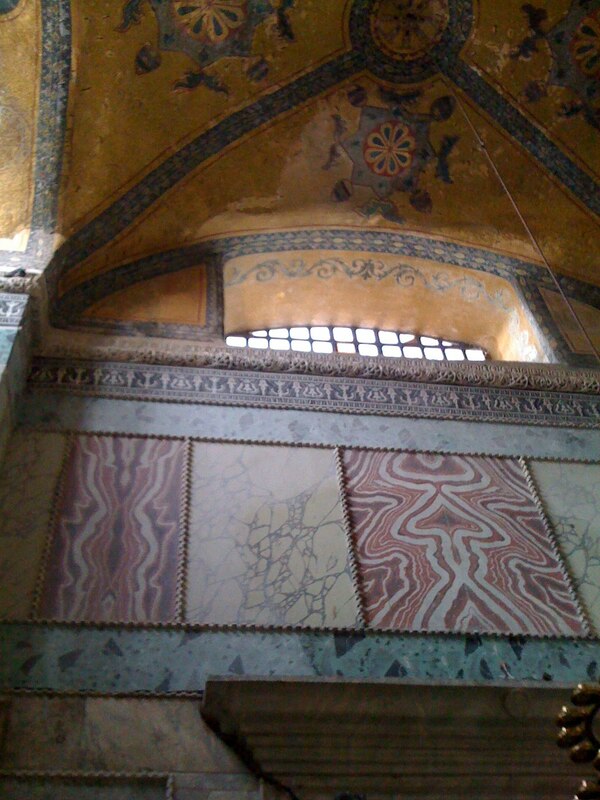 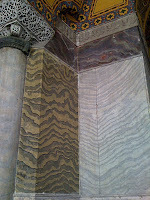 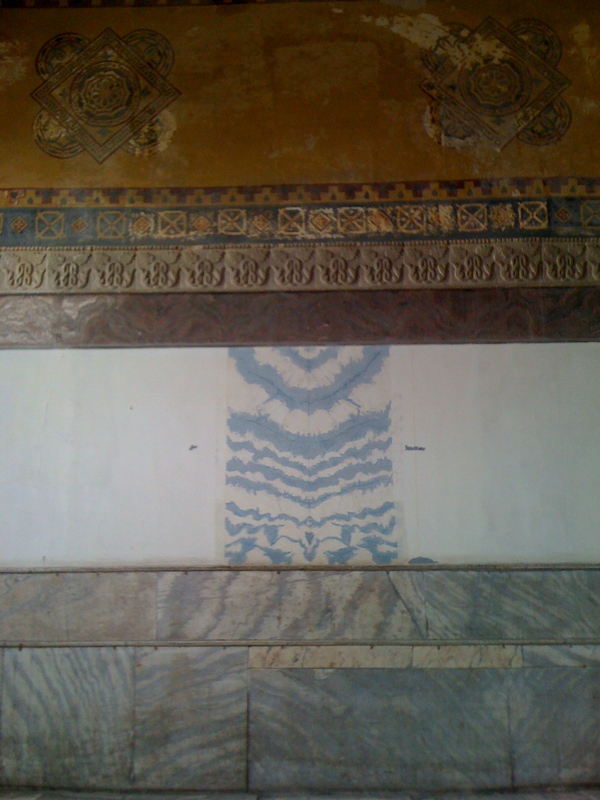 The inside walls of Istanbul's Hagia Sophia are lined with insanely beautiful cut marble slabs, laid side-by-side to form a geological repeat. 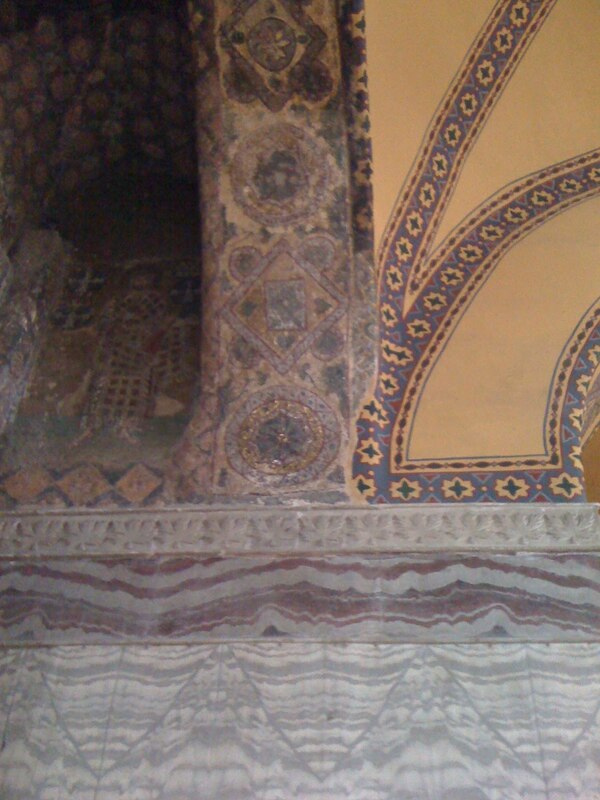 Lined up next to the yellow paint and floral tiling, the Byzantine architects definitely drive home their conviction that more is more. 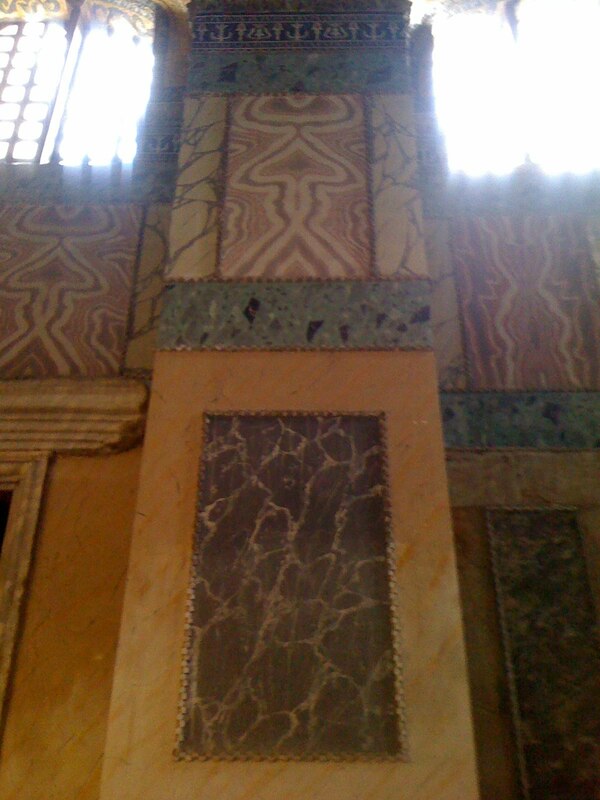 Upstairs the painted 'restoration' is hilarious, it looks like a fierce khaki animal print all over the wall. In places it's in really bad shape and it looks absolutely gorgeous, all peeling away. Built in 532 AD, Hagia Sophia was initially a church before it became a mosque. 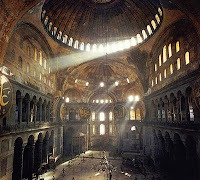 It's now the city's top tourist attraction, so whilst being crammed with beauty it's pretty low on atmosphere. 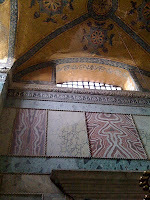 You can imagine the incense though, and the centuries of singing.